So, some of you may have just read my 3-8-1 Candles review HERE, and if you haven't you should check it out! They are amazing candles with REAL jewelry hidden inside (the minimum value of any piece of jewelry you will get is $39.99 which is higher than the price of the candle, and you can get a piece worth well over $2,000!!). I was so impressed with my Caribbean Teakwood candle (and the amazing ring I found in it), that I wanted to learn what inspired Nicki to start 3-8-1 Candles. So, I asked her if she would do an interview with me and she did! Me: I've got to start by stating that I LOVE your candles. I was amazed at how nice the scent of the candle was, as well as how nice the jewelry was. It made me want to know more about what inspired you. 1. I love everything about your candles from the look and smell, to how long they burn and the fun surprise jewelry at the bottom. What was the inspiration behind creating 3-8-1 Candles? I had my husbands wedding ring engraved, and they only gave me so many characters to work with, so I came up with 3-8-1 - which we both now have tattooed, too! I've been making candles for 12 years, mostly just out of my kitchen and giving them as gifts to friends and family. I knew that one day I wanted to own my own candle shop. I was busily working my career (professionally licensed scopist/proofreader) and told my husband that now was the time and I needed his support. Then my candle shop was built! 2. I've made crafty candles from a kit before, so I know that you don't just simply pour wax into a jar and slap a sticker on it. It requires patience as well as expertise. What is your favorite thing about making candles? So many people don't understand the concept of "it's not just simply pouring wax and slapping a label on it". Candle making is a true science, and I have a TRUE passion for it! I love knowing just the right temperatures, and pour time. My absolute favorite is experimenting, and getting the scent, burn, and throw JUST right! 3. I've been really reading what your scents are made from, and they all sound simply amazing. How do you come up with your scents? Honestly, I will be the first to admit (and I've been called it many times), I'm a total scent snob! There are SO many amazing scents out there, and picking just the right ones sure doesn't come easy. I order in a lot of what I call "little guys". They are just 1oz sample scents, and I do A LOT of experimenting. Sometimes if a scent is being requested, I will order it in and have a few fans "test" it out for me before releasing - that's for the scents that I know I personally am not going to like. 4. Is there a scent that is requested more than the others? I have quite a few popular scents. Most men LOVE the Blueberry Cobbler, women are fond of the True Love's Spell or the Black Raspberry Vanilla, and kids are attracted to the Very Vanilla. 5. Do you personally have a favorite scent? My absolute favorite scent is Banana Nut Bread! It's spot on to a true banana nut bread loaf right out of the oven - yum! 6. I've also been reading your Facebook page and your website testimonials, so I know that people love your candles and the quality jewelry inside them. What inspired you to focus on quality (the jars are beautiful, you use soy wax, and the jewelry is REAL)? Quality is by far number one on my list. There are quite a few competitors out there right now, and they all have the same "look" to me, so I dared to be different! Personally, I've always loved the unique look of a square jar. I also think that having a candle in your home should have more of an eloquent/bold/classy look. I prefer to know what scent my candle is, but I don't like the "pictures" of what it is. (i.e. Birthday Cake, with a picture of a cake on the front label.) I wanted people to want to keep the logo on their jars even after the candle is gone . Quality will ALWAYS come first to me, never quantity. with all the positive comments on my testimonials page on my Web site, as well as the comments that have been left on the 3-8-1 Facebook page, it's important to me to keep the positive comments coming! 7. Is there anything that you find particularly rewarding about creating, and running 3-8-1 Candles? I absolutely LOVE the gratifying moments. I strive to provide excellent customer service, and when it gets noticed, it makes my heart smile I have quite a few "special" fans that are dear to my heart, and am ever so thankful to have met them because of my candles. I also donate a lot to Lyme Disease Awareness...knowing that I am actually helping people could not bring me greater joy! The stories from the people that 3-8-1 Candles has helped is truly heart wrenching! 8. I noticed on your website that 100% of the profit of each sale of The Day at the Spa scented candles goes to Lyme Research and Education in support of Lyme Disease Awareness, what drove you to choose Lyme Disease as a cause worthy of your company's attention? I'd like to say another quick Thank You to Nicki for taking the time to chat with me tonight. I am so impressed with her candles, and hope that I've been able to convey how impressed I am with her quality and what a great lady she is. Happening NOW and going through Monday 10/1, each order of a 22 oz Jar Candle will be shipped by 10/8, and one special candle will have a GLA certified piece of jewelry worth $2938! By the way, I learned something new while burning this candle, you see, it arrived with some really pretty sparkles sprinkled on the top, so I decided that if they were put there by a professional, who was I to try to get rid of them, and I let them melt into the candle, which ended up creating a beautiful effect! .... A very pretty ring that happened to fit my finger pretty nicely! Now I don't know what the ring is worth, but it is stamped on the inside as .925. I was curious about the value of my ring, so I sent a picture of it to Nicki at 3-8-1 Candles and found out that the estimated value of my ring is at least $125!!! I should also note that I have worn this ring a few times in place of my wedding band because I've had swelling in my fingers lately! I felt completely comfortable wearing this ring without worrying that people would think it was fake. Love it! 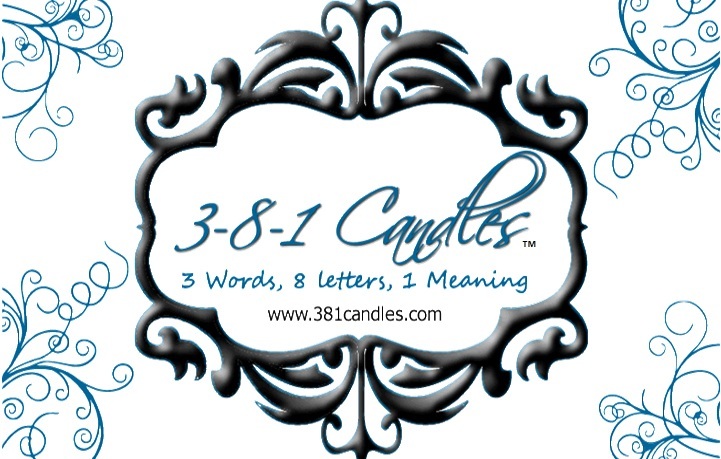 With such an amazing candle and piece of stunning jewelry, 3-8-1 Candles has become my new favorite candle. I plan to get a few more for myself (I might try some of their other great scents, or I might stick with this one as I loved it so much), and will likely give them as gifts too. I may even make up a gift basket to donate to our local PTSA for use as a raffle prize. 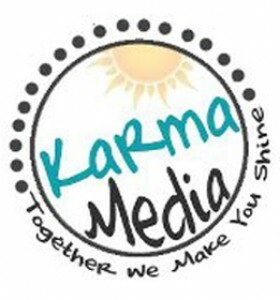 Edition Reviewed: 22 oz Caribbean Teakwood Candle - I received a candle as part of a Karma Media campaign to help facilitate my review. All opinions are 100% mine. I had the opportunity to speak with the owner, Nicki really quickly today, and learned something amazing... ALL the jewelry she uses is .925 Sterling Silver, so it is wonderful, quality jewelry, and each piece is worth AT LEAST $39.99! 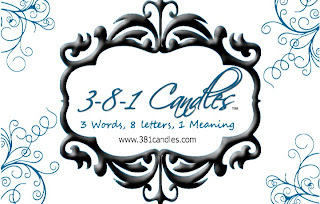 3-8-1 Candles has two lines of candles with jewelry inside: Little Ladies Candles ($22.00 for 14 oz candles that have girl-sized jewelry inside sizes 4-6 rings, earrings, or necklaces) and 22 oz Jar Candles ($30.99 per 22 oz jar, includes real jewelry sized 4-10 for rings, bracelets, earrings or necklaces). Each candle line can be purchased in multiples of 4 at a discount. For clarification on what REAL is, I took this from the 3-8-1 Candles Facebook page: "No fake jewelry, no costume jewelry at 3-8-1, ever: EVERY 3-8-1 jewelry piece is crafted from genuine fine jewelry metals including Titanium, Tungsten, Stainless Steel, .925 Sterling Silver, 10k, 14k, and 24k gold. Each genuine jewelry piece has a retail value of $39.99 to $1,000. You might get a ring, a brooch, earrings, a bracelet, a necklace, or an anklet – but it will always be real candle jewelry in 3-8-1 candles." You've got to be impressed with that! Giveaway Time: Open to residents of the US, ends 10/10 at midnight EST. Good luck!! I really enjoy starting and ending the day with a light heart, and one way I do that is to read devotionals. The one I'm reading now is called Proverbs Prayers: Praying the Wisdom of Proverbs into Your Life Every Day by John Mason. It is a 31-day devotional that takes about 5-10 minutes tops per day to read and process. The thing I love about this devotional is that it focuses solely on the Biblical Book of Proverbs, which I have always found to be positive and life-affirming. Proverbs contains 31 chapters, making this a perfect one-month devotional. Author John Mason has included one chapter per day, which is followed by a related prayer. He challenges readers to read through each chapter and read the following prayer, so that readers can start to see the wisdom God has provided which can be applied to daily life. I loved working through Proverbs this way, but honestly, it did take me more than 31 days as some days were harder to read through (I needed to re-read some passages to try to really understand what I was reading), but it was worth it. I especially liked the Proverbs Principles at the end of the book. They include topics, and definitions as found within the words of Proverbs: Achievement, Advice, Anger, Character, Compassion, Conceit, Diligence, Direction, Discipline, Faith, Friends, Gossip, Guidance, Humility, Knowledge, Laziness, Love, Motivation, Patience, Persistence, Peace, Price, Righteousness, Temptation, Trust, Vision, Wisdom and Words. This is a beautiful gift-quality book in soft-cover (and available on Kindle), with full-color cover, torn edged pages (adding some texture and beauty to the book), and burnished red accents throughout the book (titles, verse numbers, page numbers), and the folded cover makes it easy to keep your spot in the book. Edition Reviewed: Paperback - Review copy received in coordination with LitFuse Publicity for this blog tour, many thanks to both the author and the publisher for sending me a copy to review! 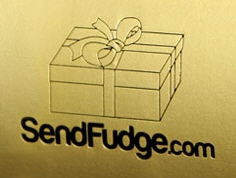 SendFudge.com is a great way to experience the joys of really, REALLY good fudge... and a great way to help celebrate a special occasion! The fudge was amazing! (And rich) The flavor was wonderful, and a little goes a long way. The fudge comes in a really nice gift-quality box that is sealed, so it stays fresh. When it arrived on my doorstep, I couldn't wait to... well, open it and dive in, but I showed self-control and waited for the boys to join me so they could try it too. When I opened up the package, the first thing I noticed was the nice smell coming from the box. I don't know who liked it better, me or the boys. Let me just say it was probably the best fudge I've ever had (hard to beat Fair Fudge, but this does), especially as it is Raspberry Cheesecake! And a little goes a long way. This doesn't look like a huge amount of fudge, but it is so rich and creamy that I think it lasted over 3 days out on the counter... and we were eating it all three days!! I love to support local authors and businesses, so I was especially excited that Andrew of SendFudge.com agreed to take some time from his busy schedule to do an interview with me. Before I get much farther, I'd like to thank Andrew for taking the time to do an interview with me - thanks Andrew!! 1. After making over 5500 pounds of fudge, have you found one flavor you like better than the rest? It's really tough to pick just one that I like better than the rest. The best I can do is pick a few favorites, and even that tends to change. The raspberry, mint, and cookie dough have been my top 3 for awhile, but the maple nut and peanut butter are high on my list too. 2. With flavors like Raspberry Cheesecake and Orange Creme and your new Dark Chocolate Chili Mango, are there any fun stories as to how flavors were developed? Most of the recipes have been around far longer than I have, so I don't know all the stories behind them. The Chili Mango was one of my first real experiments, so that was fun to figure out. (There's actually a blog post about it on the site). Sometimes I get inspired by customer suggestions or other candies we have in the store. The customer response to certain flavors can be a little surprising sometimes. The Orange Creme especially tends to be one that people think is too weird, but once they try a sample they love it. 3. Have you ever received any crazy fudge flavor requests? Definitely. I've been trying to figure out how to make a good maple bacon fudge. Some suggestions are just too crazy, though; I guarantee I won't be making pickle or barbecue sauce fudge anytime soon. 4. What is your favorite part of making fudge? It's cool to take plain chocolate or vanilla fudge and turn it into dozens of flavors with a few extra ingredients. It's also fun to see customers react so positively to what I've made. 5. What do you think makes your fudge the best in the world (other than your time tested 50+ year old recipe)? Ego, mostly. Seriously though, I've tried lots of different fudges and still haven't found anyone selling one I like as well as ours. Homemade fudge ranks pretty high, but no one's grandma makes all the flavors we do. 6. What is your most-requested fudge flavor? Mint chocolate swirl and sea salt caramel are both really popular and seem to sell out as quickly as I can make them. I'm always amazed by how many people prefer plain chocolate, but I guess it's a classic for a reason. 7. What is the most challenging part of making fudge? There isn't a lot of time to work with the fudge before it starts to set, so I've got to get it done fast. Other than that it really isn't too difficult, although I've certainly had plenty of practice. 8. What was the biggest challenge of starting SendFudge.com? Everyone knows they can send flowers as a gift, but the idea of sending fudge is still pretty new. Our challenge in the beginning is to help customers learn that instead of an expensive bouquet of flowers that will die in a few days, they can give a delicious box of handmade fudge. We also put a lot of effort into perfecting the product quality and overall customer experience so that every single box makes someone's day. Edition Reviewed: 1/2 pound of Raspberry Cheesecake Fudge - Review sample received courtesy of SendFudge.com, Thank you for sending me a sample to review! As I've said before, if you interact with kids in any capacity, you will want to take note of Rock N Learn's fun music learning videos and cds. Our family was sent the Rock N Learn Getting Ready For Kindergarten DVD to check out and like the other Rock N Learn hits, this one is wonderful. The tunes are catchy, the kids love to sing along and then copy what the characters to at home (which is great) - puts a whole new fun to cleaning up their room when they can sing the same songs as on the DVD. 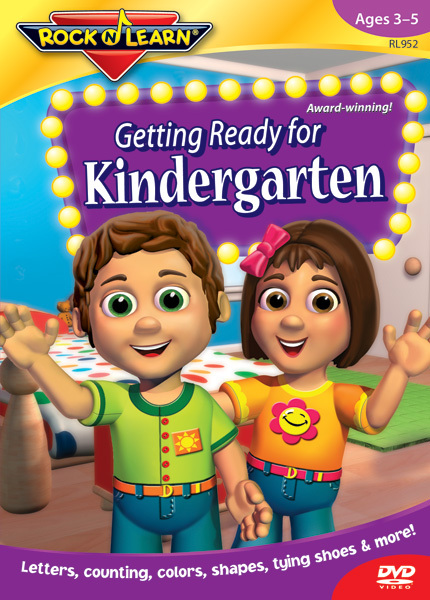 This great learning DVD covers things like learning colors, counting, tying shoes, following directions, holding a pencil, learning to write, recognizing and printing numbers through 10, learning left/right, walking in line, drawing people, and SO much more. The characters are fun (and include a mixture of real kids and cartoon kids), the songs are great, and the kids are learning things by having fun and they don't even realize it. I loved how the kids on this DVD worked together to learn (tying shoes, cleaning up their rooms). We've got two young boys, so it showed them that it is ok to work together (which they generally do pretty well). The kids love this DVD, which is great as a parent, because I know they are having fun AND learning. I can feel great about letting them watch this DVD, and they don't even know that it is "good-for-them." 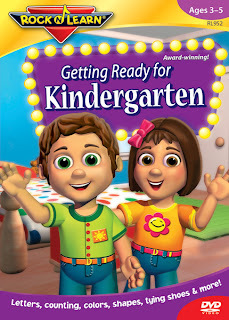 Rock N Learn also has other great DVDs that cover a range of ages from Pre-K through ages 10+. The suggested age for this dvd is 3-5, but I could see a 6-7 year old enjoying it as well, and still being able to glean some information (or at least reminders) on how to work together. Rock N Learn has a great line of educational materials including DVDs, Audio CDs, workbooks and now the addition of iBooks. They have over 50 products covering early childhood learning (preschool, kindergarden, grade school), languages, language arts, math, science and social studies. They even have one for dealing with money and change (which my kids need!). You can find the Ready to Learn line of Rock N Learn DVDs at Sam's Club through the end of September and online at www.RockNLearn.com (US only). Our family loves Rock N Learn DVDs, and I'll bet yours will too. Edition Reviewed: DVD - Review copy received through Karma Media in order to share my honest review with you. Stay in touch with Rock N Learn: Sign up for their E-Newsletter, Follow them on Twitter, and Like them on Facebook. They have also created a website www.worksheets-for-math.com to provide parents and teachers free downloadable study materials. If you had told me a year ago that changing dirty diapers could be painful and hurtful for baby, I would have looked at you funny (while I probably wouldn't have laughed AT you, I would have been laughing on the inside). We have two kids, and the first was so EASY to change when he had dirty diapers, and we RARELY had diaper rash with him... so I've been in shock with little one number 2!! Our littlest hates his diaper being changed and he isn't smelly, so sometimes he plays in a dirty diaper for a little long enough that the mess becomes a problem. In short, with our youngest, if he has a messy diaper, it tends to go un-noticed for a little bit, which ends up with a slightly dried-on hurtful mess. Plus, he hates cold diaper wipes, "Ouchie" was actually one of his first words, not because he hurt, but because the diaper wipes were too cold and I had to scrub at his poor bottom. Often he would have diaper rash, and it would make things worse. Then, two weeks ago I discovered Bebe Bottom Skincare and I fell in love, and so did our youngest! Their Baby Fresh Cleanser was developed to help fight diaper rash and make diaper changes easier and less painful. It is a gentle, natural spray that you spray on when changing a diaper... I spray, count to 10, then wipe, and everything comes right off without any scrubbing! Plus it smells great. Our little one now laughs along and tries to count with me and diaper changes are no longer "Ouchies." He had a bad diaper rash the day the bottle of bliss arrived on our doorstep, and within a day and a half it was GONE! Baby Fresh Cleanser helps kill bacteria and is made from 88% organic ingredients. (It includes ingredients such as Aloe and Tea Tree Oil). It also benefits you by reducing the number of wipes you need during diaper changes. They estimate that each bottle will last about 1 1/2 months or more. I also noticed on their website that they recommend that adults can use it for personal hygiene as well. 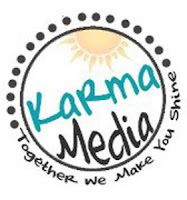 Edition Reviewed: Regular bottle of Baby Fresh Cleanser - Review sample received as part of a campaign with Karma Media to facilitate my honest review! We recently got to host a Backyard "Rock 'N Learn" Party for our friends with LeapFrog, where we got to introduce (and play with) the new Touch Magic Rockin' Guitar and the Touch Magic Learning Bus. The weather was great and we ALL had a blast, parents and kids alike! Touch Magic Learning Bus (Ages 2-4) There are 3 modes: learning, letter exploration and music. Kids are introduced to some adorable characters, letters, sounds, words and songs, and they can also create their own music. Touch Magic Rockin' Guitar (Ages 3+) Learn through music by playing along to ten fun kids songs, or by making your own music. This learning toy helps kids with motor skills and confidence. Touch Magic Counting Train (Ages 2-4) Learn numbers, animals and basic words with this fun musical toy that includes numbers 1-20, 10 farm animals and much more. Sing along, build your own version of "Old McDonald" and associate objects with numbers. Touch Magic Discovery Town (Ages 2-4) This is a flip board type toy that allows kids to explore a town while learning about people and places, as well as singing and playing discovery games. Our family got to host a party through MomSelect and we got to try out the Touch Magic Rockin' Guitar and the Touch Magic Learning Bus. Both were a huge hit! I think the guitars were a little more of a hit as the kids could perform for us while they were playing, and they could add their own music to the songs as they played. I'll also add that we had a little one who was under 1 who had a blast with the Learning Bus, and while she wasn't actively learning, she WAS having fun. 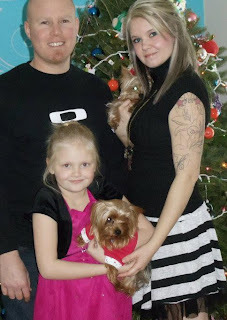 As you can see from the pictures, the kids had a great time. They shared with each other, learned new songs, sang along to the ones they already knew, and worked together to share and play music. We've been huge fans of LeapFrog products for a long time. Not only are they fun, but they are educational too. I've found that they are great for kids of all ages, and are generally safe for younger children too (use your judgement, but even the youngsters can have fun making music). I know we have a bunch of birthdays coming up this year, and I think these toys will make a GREAT gift that any parent will appreciate, and any child will love. *Disclosure: I received 2 Rockin' Guitars and a Learning Bus so I could host a LeapFrog Magic Touch "Rock 'N Learn" party with our friends and neighbors via MomSelect and LeapFrog. All opinions are 100% mine, and as you can see from the pictures, the kids had a blast... the included pictures are of children whose parents approved the use of their images. 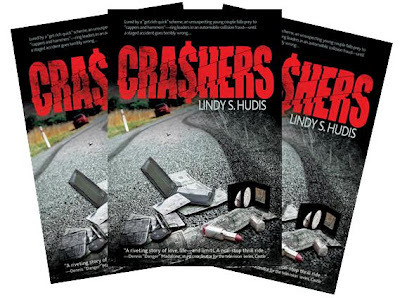 This fabulous giveaway is brought to you by author Lindy S Hudis and Karma Media. A riveting story of love and desperation, greed and redemption.